Georgia has some of the most stringent graduation requirements in the nation. Since taking office, Georgia's graduation rate has jumped more than 7 points to 80%. 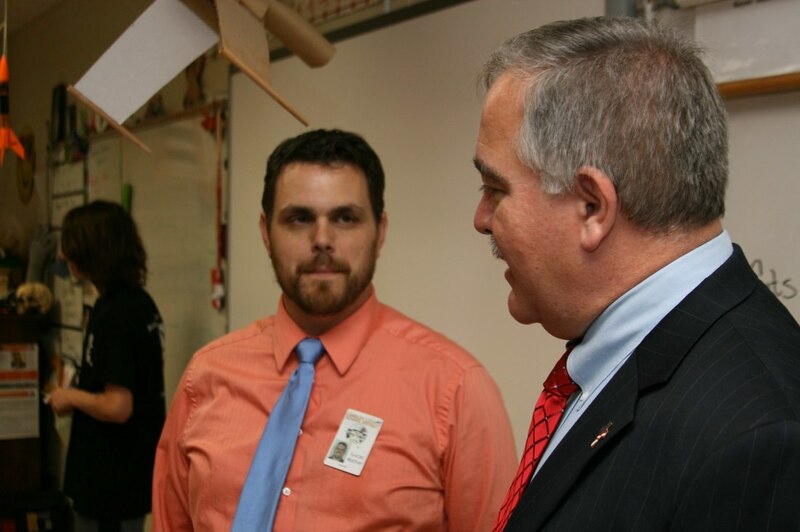 Students who complete a Career Technical and Agricultural Education (CTAE) career pathway have a 96% graduation rate. Students who are enrolled in an Advanced Placement course have a 97% graduation rate. Giving students more options to satisfy the fourth math, science, and English Language Arts graduation requirement provides multiple paths toward academic success. 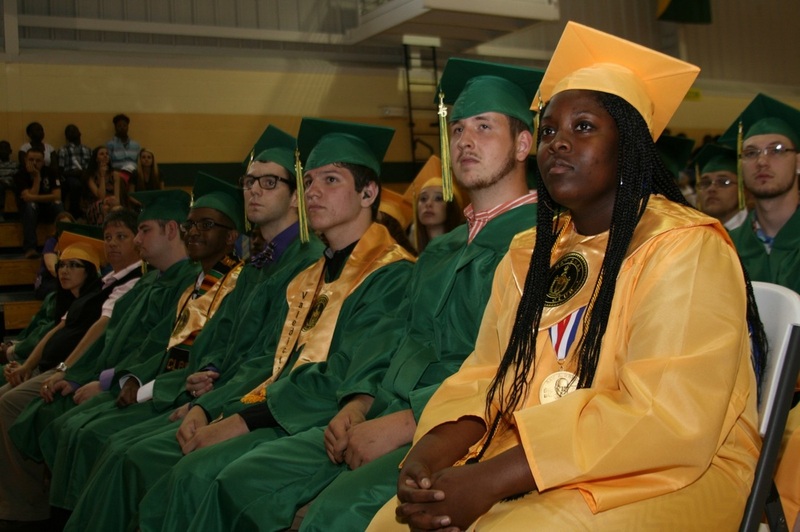 Superintendent Woods continues to advocate for additional flexibility so that students can graduate through coursework that is relevant to their post-secondary plans. 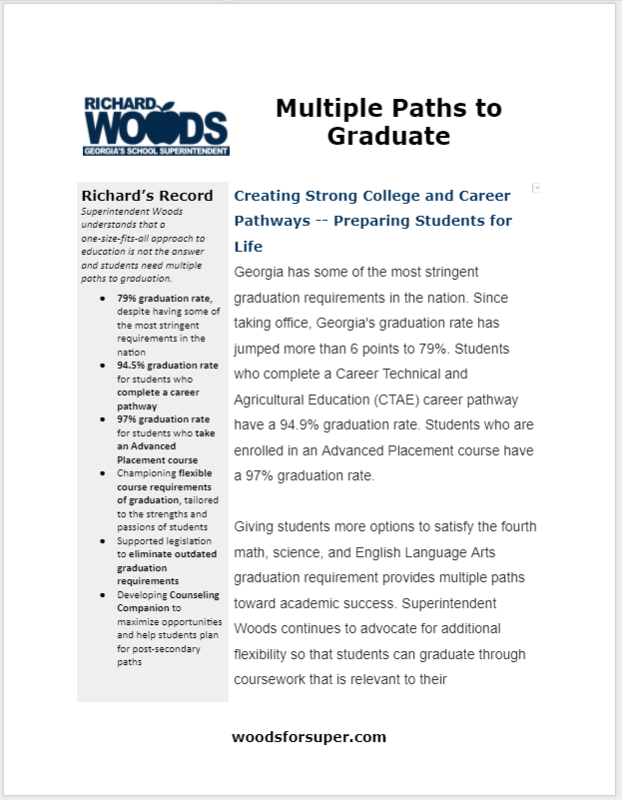 Superintendent Woods worked with legislators to pass a bill that would eliminate outdated graduation requirements, allowing thousands of Georgians to earn their diploma and expand their opportunities. 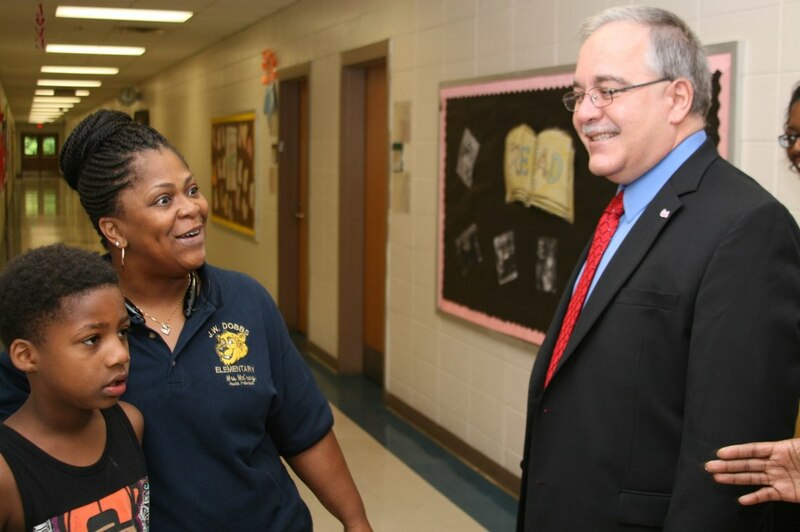 ​Under Superintendent Woods' leadership, the GaDOE is developing a Counseling Companion that will match the interests of the student to multiple college and career pathways -- this will be a powerful tool for parents, teachers, and counselors. 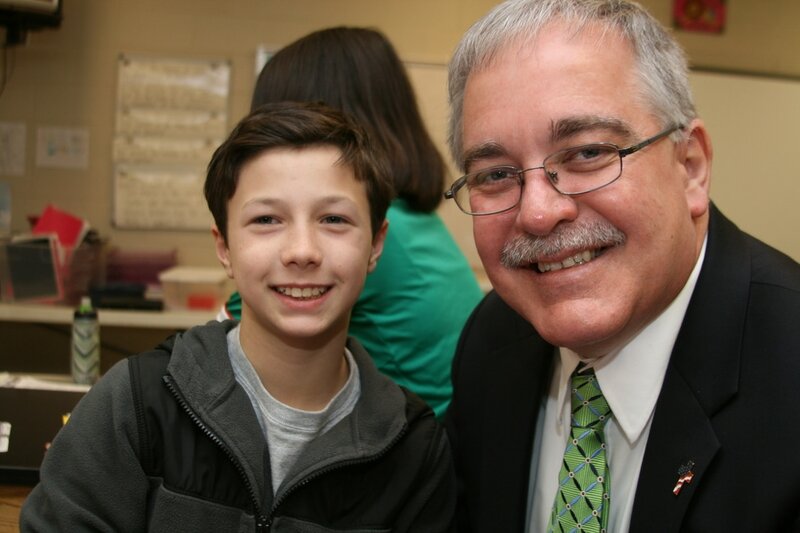 Superintendent Woods understands that a one-size-fits-all approach to education is not the answer and students need multiple paths to graduation.